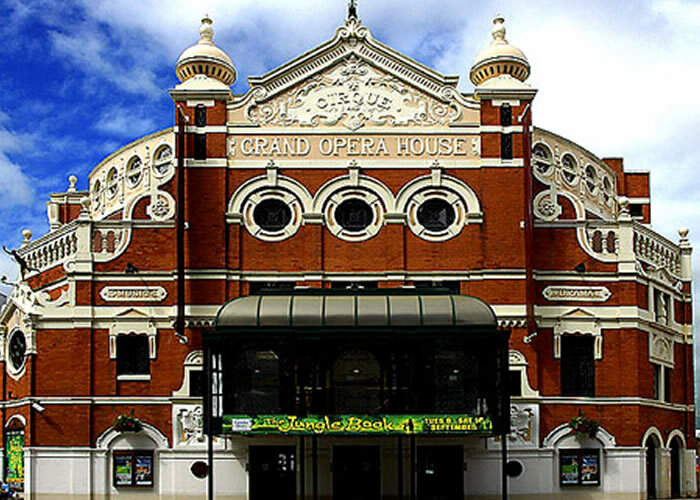 The Grand Opera House is Northern Ireland�s premier Belfast theatre, presenting an outstanding programme of drama, opera, dance, comedy, West End musicals, family shows and much more. The Theatre is located in Belfast�s bustling city centre and boasts the majestic Victorian main auditorium designed by renowned architect Frank Matcham, the intimate Baby Grand studio, a 100-seat theatre space, and three bars. A favored venue by both international companies and local producers, the Grand Opera House has been part of Belfast�s vibrant theatre scene for over 100 years, providing quality entertainment, unforgettable experiences and vital outreach programs that allow the Theatre to engage with the local community and ignite a love of theatre in young and old alike.